Snapdeal usually sells Moto E 2nd Gen 3G 8GB at Rs.5,999. Today, Snapdeal is giving flat Rs.1000 off on Moto E. Moto E 2nd Gen 3G 8 Gb has received 4.5 ratings based on 2522 ratings from customers in Snapdeal. It also has 915 reviews in Snapdeal. Even exchange offer is also available. Check that in product page. If you are planning to buy Moto E now, it is right time to buy. Hurry Up!! 2. 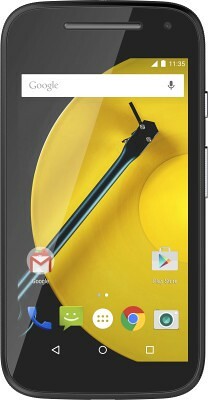 Click on 'Buy Now' or 'Add to cart' button as you desire to buy the Moto E in Snapdeal offer price. 3. Register if you are a new user for Snapdeal. Login if you are an existing user of Snapdeal. 4. Enter the required details like delivery address, mobile number and so on. 5. Make payment or order on Cash on Delivery if available. Read the full Moto E Spec.